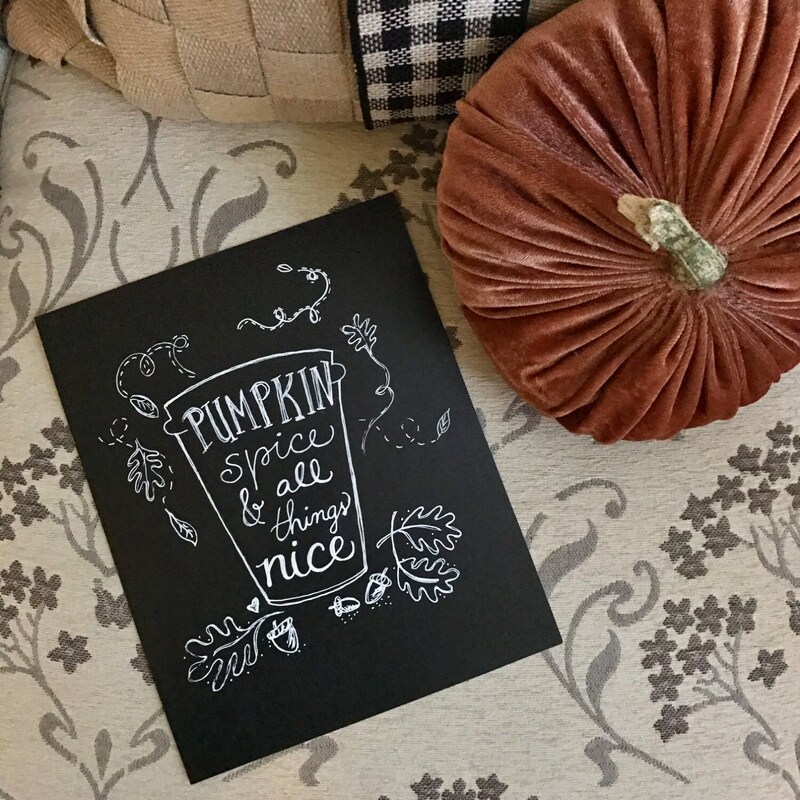 Great for your own fall home decor or just to wish someone else a Happy Fall! 🍁 This listing is for the custom handmade print only. It especially looks striking in a white frame. (If you would like me to choose a frame for you, message me and I will create a custom listing just for you with a frame of my choosing that will compliment the design for an additional cost). 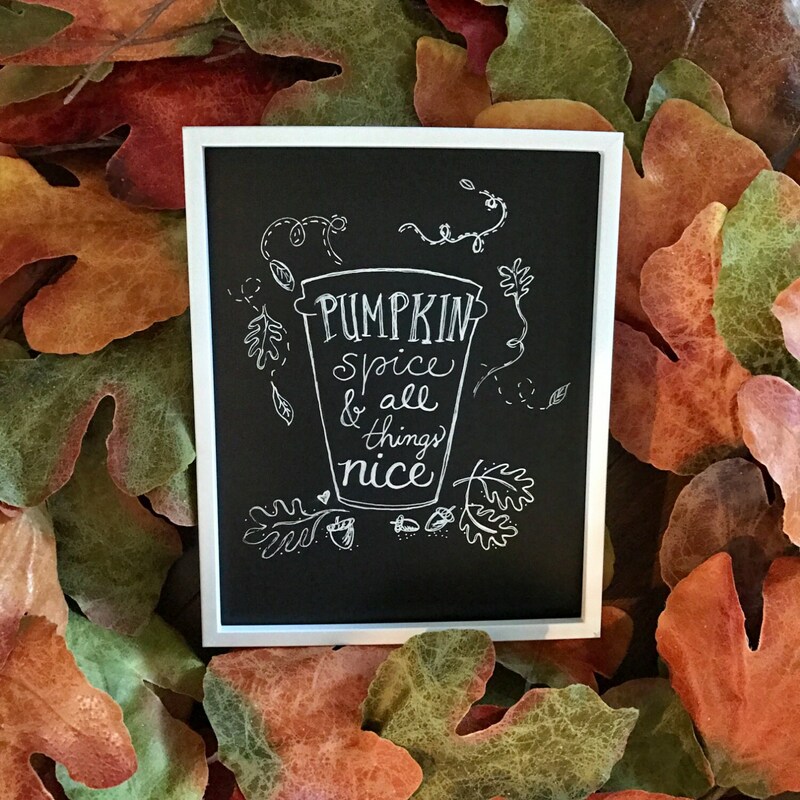 PLEASE NOTE- This custom calligraphy / chalkboard art print is a handwritten/hand drawn design. Interested in something else or another just like it? Message me and I can create something just for you! 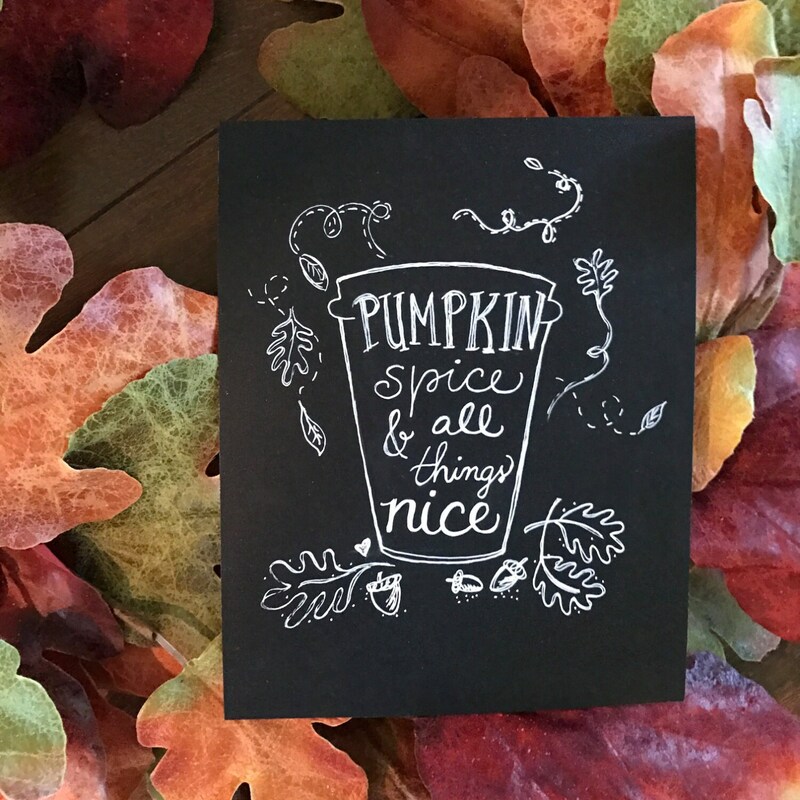 It can be created on either 8"x10" or 5"x7" heavyweight chalkboard stock paper in permanent chalk pen -- suitable for framing. I can do a print for you in a size of your choice similar to the one in this listing or design something just for you. 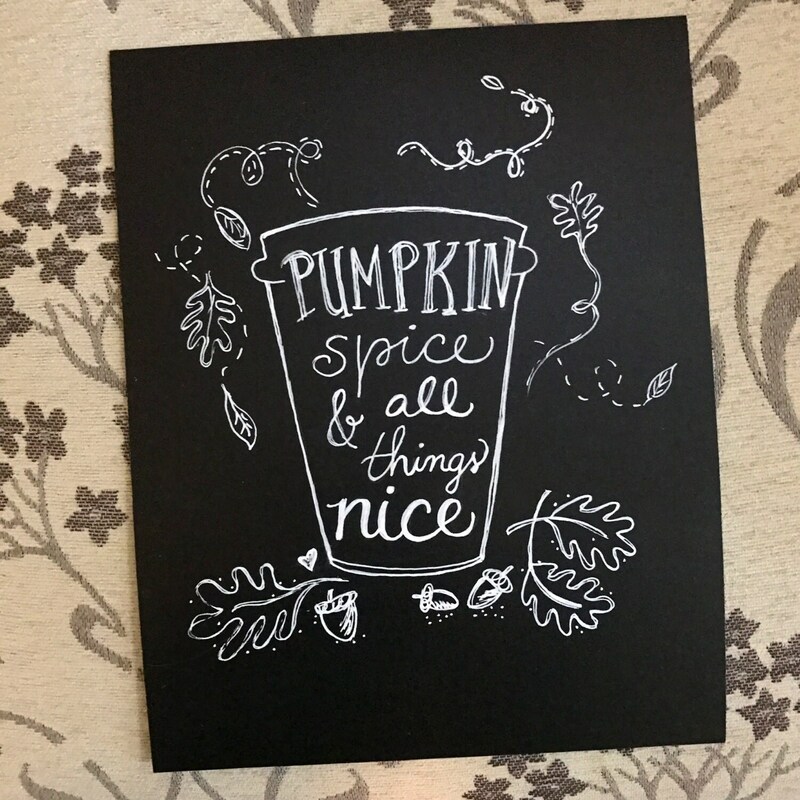 Message me with what saying or idea you have for your art print and I will do my best to make something special just for you exactly as you want your finished design. 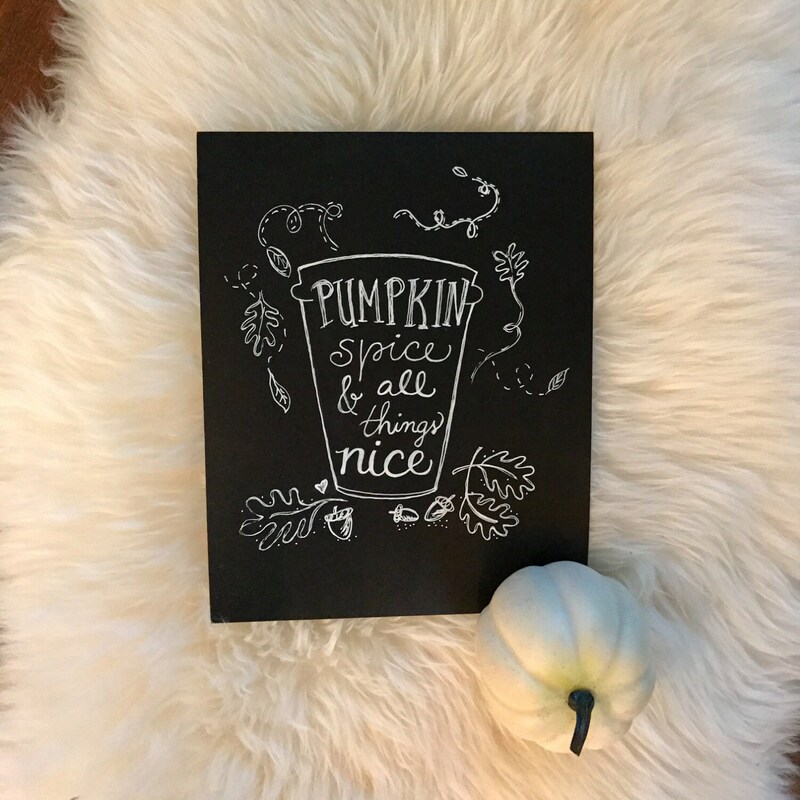 🍁 WHEN WILL YOU RECEIVE YOUR CUSTOM PRINT? Please allow 3-5 business days for creation of the design and then shipment to you. If you have a special request or need your print earlier, please let me know and I will do my best to get it to you as quickly as possible.